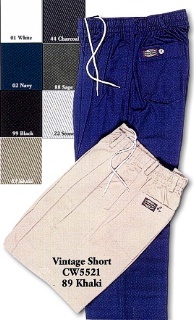 100% Cotton 8oz Twill. Elastic Waist. Draw string, elastic waist, pleated, zipper.